Error: Input data for tag <Item.ShippingDetails> is invalid or missing. Please check API documentation. Understand and resolve this common eBay error regarding shipping details. This article will guide you on solving an eBay error that says: "Input data for tag <Item.ShippingDetails> is invalid or missing. Please check API documentation." This error implies you are trying to create or update a listing without the proper shipping policy or detail in place. 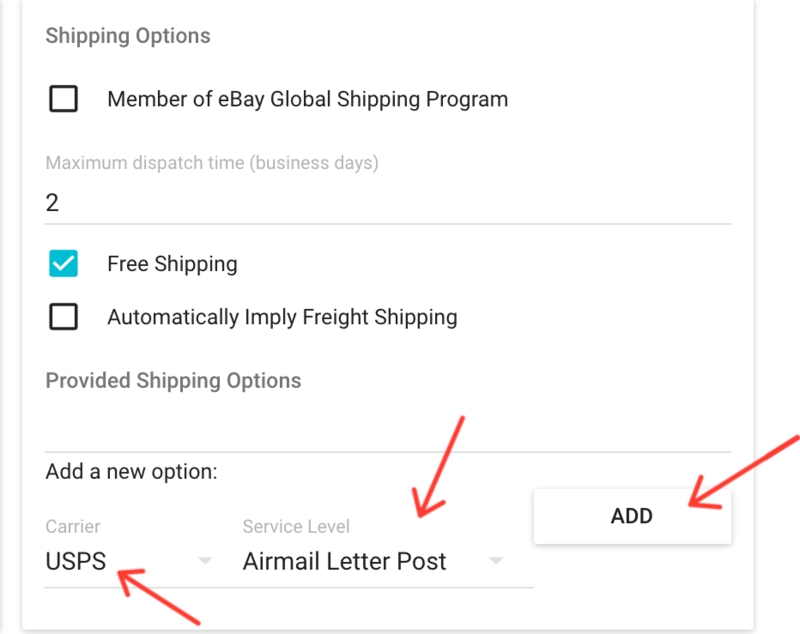 On Zentail you can either implement your existing eBay shipping policy or you can create shipping options directly on Zentail. It is recommend that you implement your eBay shipping policy. Update and Push the SKU or for a catalog wide push, click Update all Products on the eBay Integrations page.